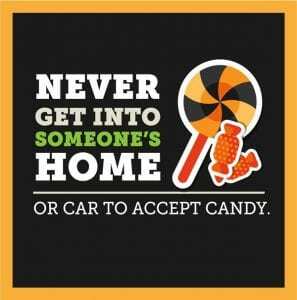 Make sure you’re trick or treating with friends or family members. There’s safety in numbers. 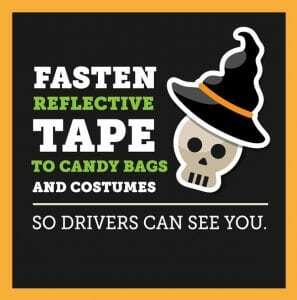 Drivers may be distracted during Halloween, so make sure you can be seen. 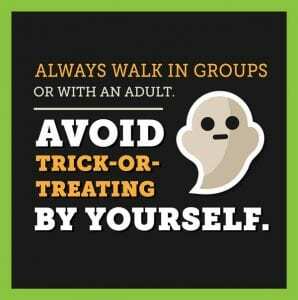 We get it, you are excited to go from house to house for all that candy. 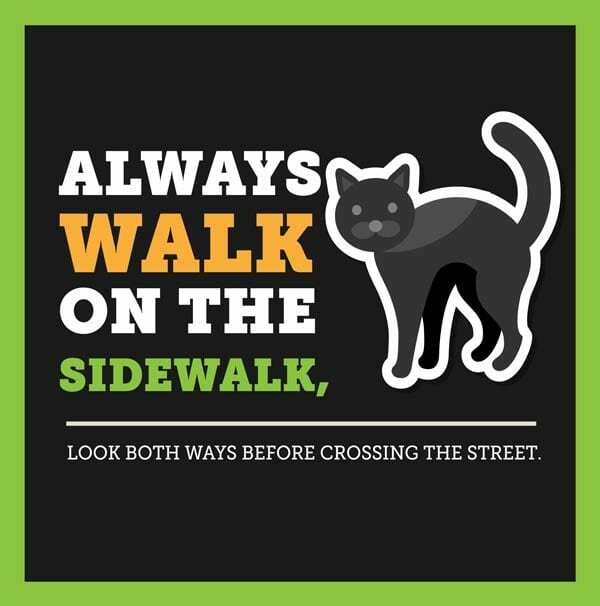 However, don’t just dart across the street without looking. 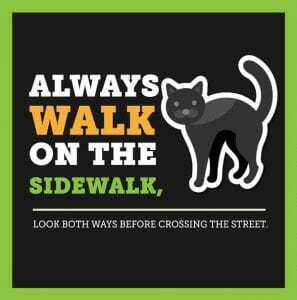 And when at all possible, use the sidewalk to get from place to place. 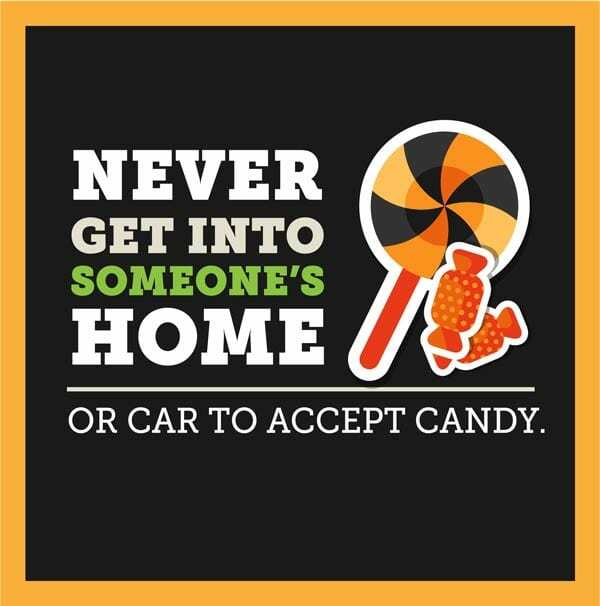 More candy, more fun… But never go into a car or home for any reason, especially candy. 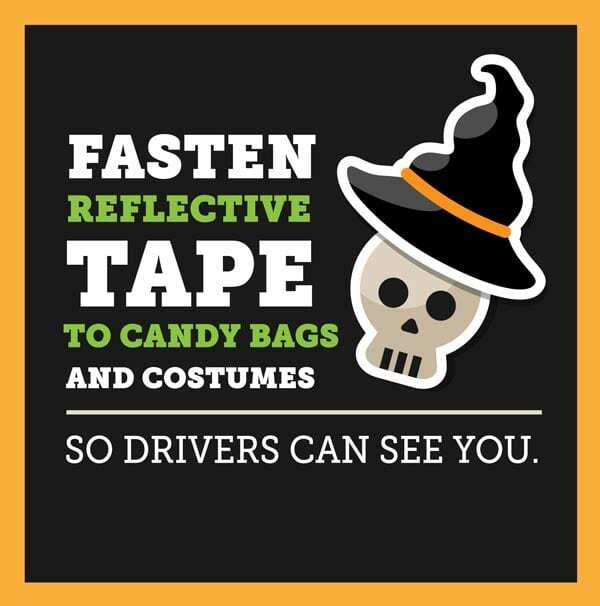 Let’s face it, candy is one of the best parts of Halloween. 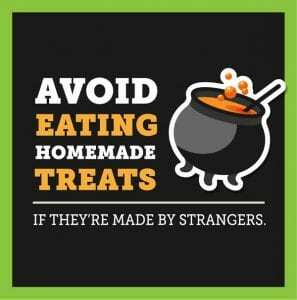 Just make sure you stick to the wrapped variety. 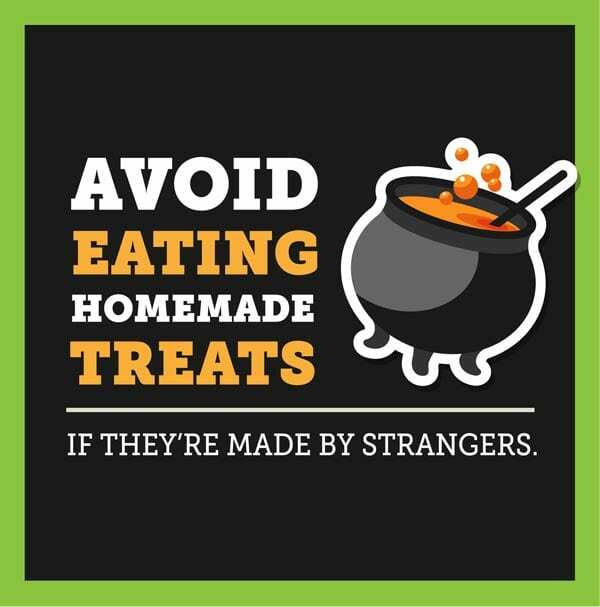 Let your family and friends take care of the baked goods. 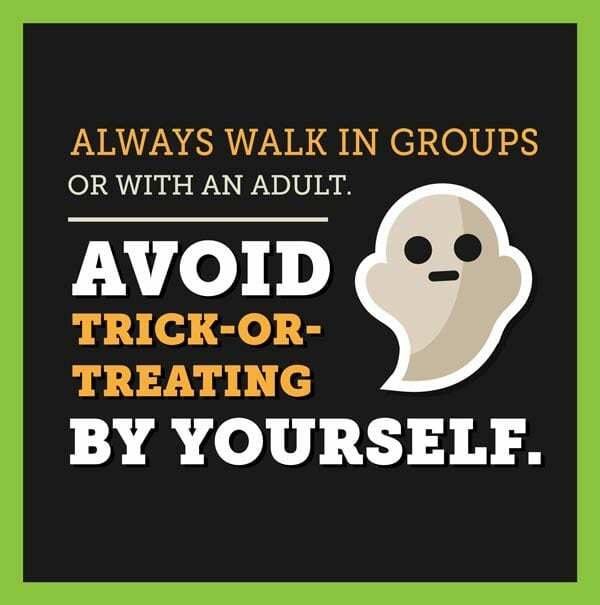 You can download these images for your own use by clicking here and saving the PDF.